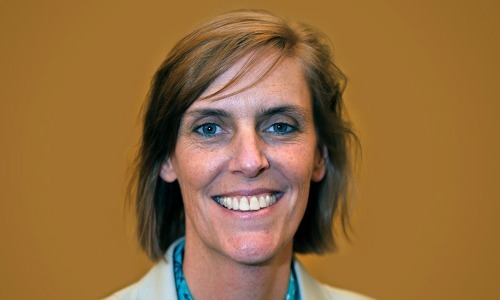 Two leadership ideas The Federation's Cathie Mahon learned from Michael Bloomberg. Prior to joining the National Federation of the Community Development Credit Unions as president/CEO, Cathie Mahon worked for the City of New York under Mayor Michael Bloomberg. Mahon served as Deputy Commissioner at the New York City Department of Consumer Affairs, where she started and led the Office of Financial Empowerment (OFE). OFE was the first initiative of Bloomberg's anti-poverty efforts and was the first local government initiative in the nation with a mission aimed expressly at educating, empowering, and protecting low-income residents so they can make the most of their financial resources. 1. Find the right people. Bloomberg set up an administration that was truly a meritocracy, Mahon says. "It was fundamentally, who are the best people, who are the best resources, and the best experts on different areas?" Those people weren't necessarily part of Bloomberg's inner circle, she says. "I had not been engaged within that administration, but I had been very active in the local community around issues of asset building and financial empowerment. "They said, ‘You sound like you know what you're talking about, and tell us how you would run this office,' when I first went in to meet with them. It was a tremendous meritocracy. I think that's incredibly important." 2. Be flexible and measure success. It's very important to have vision, but at the end of the day, not everything that you're going to try is going to work, Mahon says. "In the Bloomberg administration, they always said, ‘The only way you could fail is by not trying,'" she says. "I was told constantly that if I had an idea, I should try it out. I didn't just get carte blanche on anything, but I should try out any idea I had. "I should gather the data—that was very important, to spend a lot of time thinking about what should success look like and how are we going to measure that success. Gather that data and if your data's showing us that [an initiative] looks like it's working, we're going to invest in it." For more from Mahon—including her thoughts on 2016 and the year ahead, the Juntos Avanzamos initiative, her background in public service, and the challenges community development credit unions face today—listen to the CUNA News Podcast.